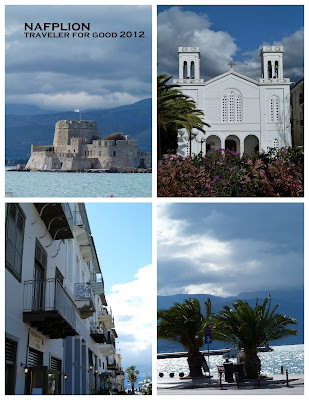 Considering Nafplion was only the last stop on day 2 of our Greek adventure, I still feel behind. I got home almost a month ago. 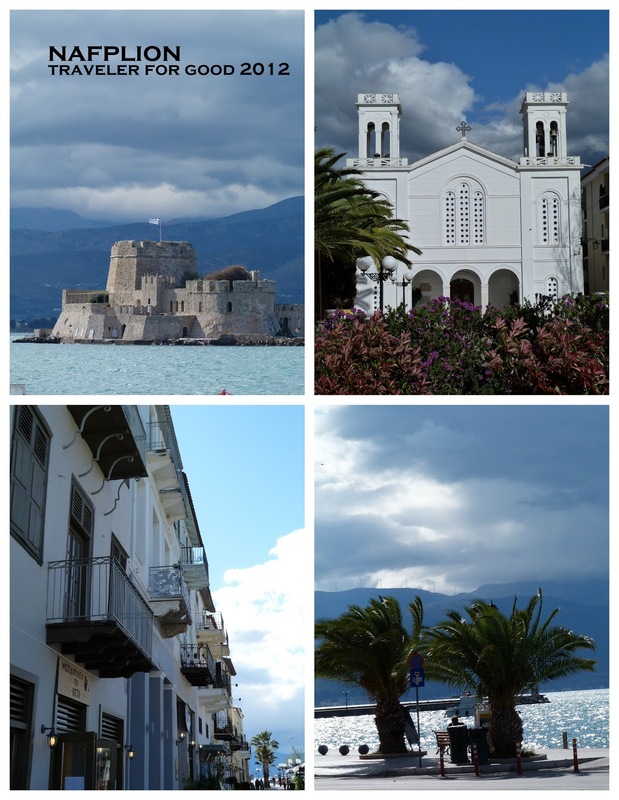 After a day that was cold and rainy at Mycenae and then progressed to sun at Epidaurus, stopping in Nafplion for an hour of wandering through the town center, eating ice cream, and enjoying being along the water was sweet. The city has fortifications up on the hillside as well as in the water. It was taken by French crusaders and also belonged the Republic of Venice as well as the Ottoman Empire. I had a chance to go into a local grocery store. This is one of my favorite things to do anywhere I travel. Partially because I look for candy to bring back for my office. I'm also intrigued by spices, juices, and unique flavors of potato chips (such as the bag of Greek herb chips I purchased). Naturally there was time for ice cream. And pastry. Ohh the pastry. They put it in pretty little cardboard to go boxes. If you wait too long to eat it the honey syrup starts to ooze out. That's your penalty for delay of game.